Reader: You swore you weren’t going to dive right back into a new album right after touring for Synthetica, but then you launched right into working on this album. What exactly grabbed you and pulled you back in? Haines: Well it’s funny, actually. I mean technically I wasn’t working and neither was Jimmy. Both of us were just like “yay, we’re off! We can do whatever we want!” but then it ended up that what I wanted to do was write, and then the same thing happened for him, in a very different way. Like, for me I disappear far away, ideally in the jungle, with a guitar or a piano and Jimmy goes deep into the studio, which is where he has the world’s most beautiful collection of synths. So we kind of both found ourself being, with no pressure, kind of returning to the joy of writing for the purpose of writing music. Which is a good way to spend your day. Reader: Very organic, almost like you got bored and needed to get it all out, huh? Reader: So, was there anything you wanted to accomplish with Pagan in Vegas, a certain direction you found it taking? A concept or a story? Haines: Yeah, it’s funny actually. It was very different from Synthetica in that way. I think I had the title for Synthetica a year before we started writing it, there was a whole thing there. But this one just sort of…happened. I guess I just always try not to repeat myself, you know? Which, when you’ve made as many records as I have, is actually kind of tricky. [laughs] Like, how many different dimensions of emotion actually are there? I guess I’m still exploring. This album was more feeling and also to honor what Jimmy had come up with. He sent me these amazing synth scans and they were just beautiful and fun. I suppose the challenge was for me to not make this really dark. Most of the stuff I wrote at first, people might be surprised to hear is really really dark. And then from there I explored other directions, other things to say. Reader: Each of your albums is very audibly distinct. What inspires you to keep changing your sound? What elements stay constant and which do you change? Haines: You know, it’s funny. We kind of noticed this thing where no matter what instruments we play, it sounds like us. In this case, it was fun to play around with not using the usual configurations—you know, drum, bass, guitar. I’d say that was sonically what we were trying to do. And you know, also pay homage to some of the music we love. There’s lots of references on there to bands that we admire. Reader: What kind of references should we look for? Reader: You’ve talked in interviews before about balancing the line between indie and mainstream, how if you lean too far one side or the other it doesn’t feel like you. Does it feel natural to toe that line or do you have to take steps to stay in that spot? Reader: Sounds like a music video concept to me. Haines: Totally! I know, that’s the problem with music videos. There are so many things that sound like a good idea until you do them and then it’s like oh god, why. I really like the idea of making what they call pseudo music videos, like the one for “Cascades.” I really like that, it’s not really a video but it’s very visual and goes with the song. Reader: Anything you’re particularly excited for about this tour and anything the crowd can do to make this tour your best one yet? Haines: Aw, well I like thinking of all the Omaha peeps being like “I’m gonna do this for you!” You know, for us a show goes two ways. We’re not television, we’re a thing that we all create in a room together. Everyone we’re on the road with is super sweet, they’re great and I think it’s going to be really fun. It’s a perfect way to kick off the summer and I would just say if you know the lyrics to sing along. Pagans in Vegas will be available September 18 but you can hear their first two singles, “The Shade” and “Cascades” on their website. 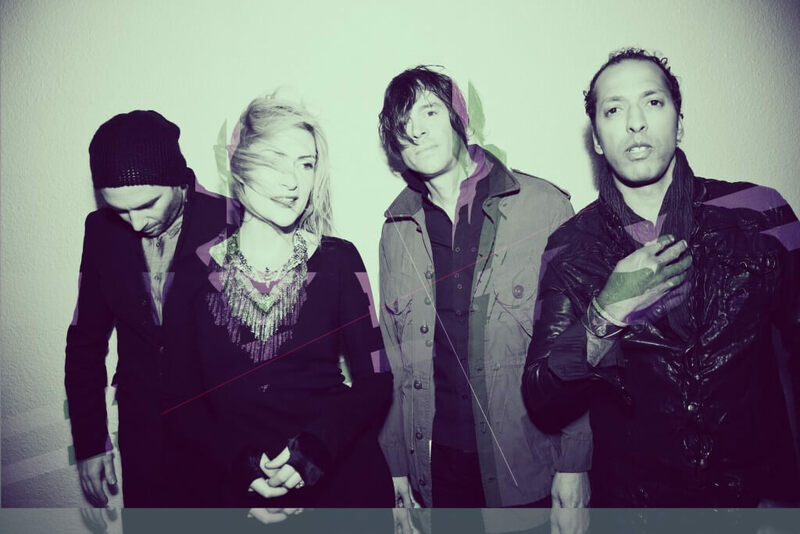 Metric will be playing at the CenturyLink Center at 7:30 on June 10. Tickets are $35–$75 through Ticketmaster.